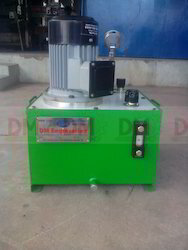 Our organization is amongst the well known organizations that manufacture & supply an exclusive range of Industrial Hydraulic Power Packs. These products are sturdily constructed and ensure longer functional life. High tensile strength and supreme quality are considered some of the salient features of these products. We are offering these packs at market-leading rates. 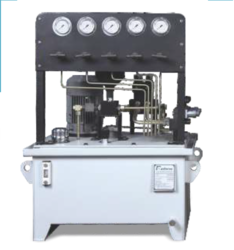 For the diverse requirements of our clients, we are engaged in manufacturing & supplying an extensive range of Hydraulic Power Packs. These products are sturdily constructed and offer trouble-free performance. Excellent finishing and high mechanical strength are considered some of the exclusive specifications of these products. We ensure timely delivery of our products. 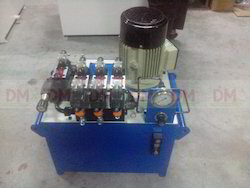 Our clients can avail from us a wide range of Mobile Type Compact Hydraulic Power Packs, as we are engaged in manufacturing & supplying these products in bulk. These products are strong and sturdy in nature and ensure longer productivity. Our products are easy to operate and needs less maintenance. These products are highly efficient and offer maximum performance. 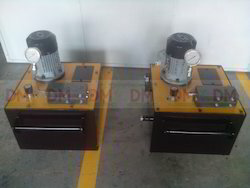 Our organization is amongst the well known organizations that manufacture supply an exclusive range of Used Hydraulic Power Pack. 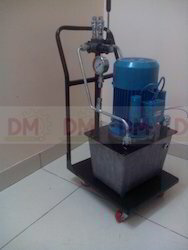 These products are sturdily constructed and ensure longer functional life. High tensile strength and supreme quality are considered some of the salient features of these products. We are offering these packs at market-leading rates.